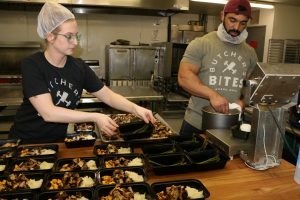 This new facility in Nelsonville is split into two sections to process both vegetables and meat. The site cost a total of $315,000, with most of the funding coming from ACEnet partner organizations. 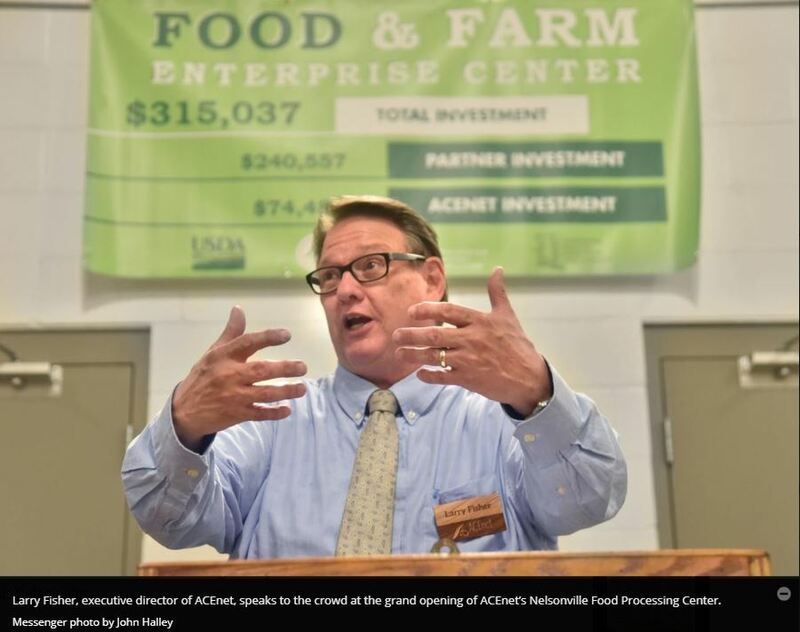 The introduction of a meat processing facility is a major step for ACEnet, as previously any tenants who worked with meat would send their products to other locations at least an hour away, and had trouble making any specialized cuts of meat. 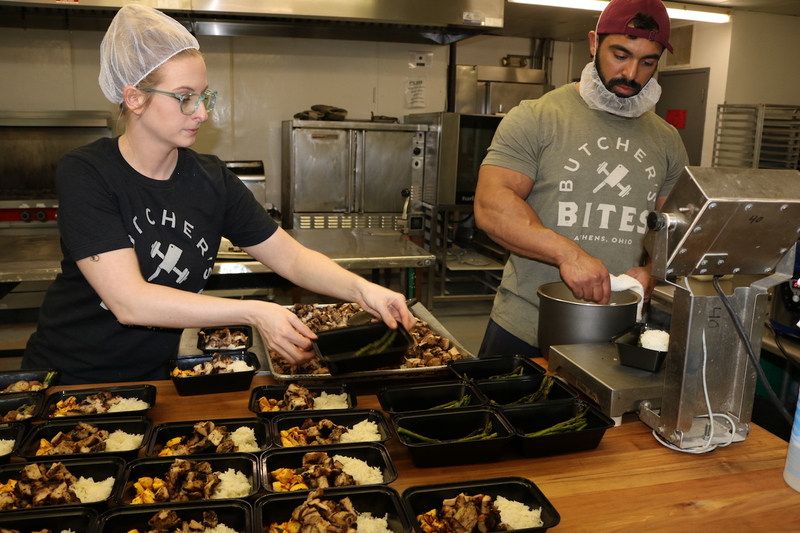 Adam Kody, kitchen manager at the Food Ventures Center, said the community support for this project as well as funding arriving within the same time period was what really helped get the project started, even though it has been in the works for over a decade. 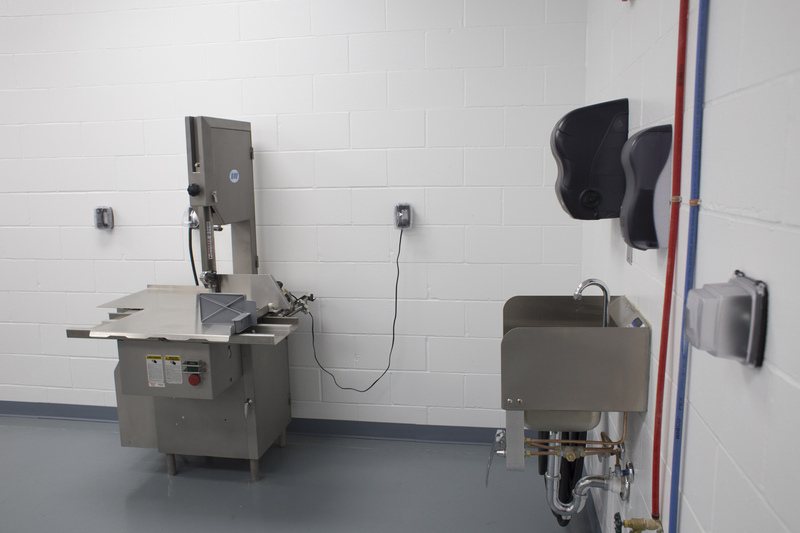 The meat side of the new portion of the facility allows clients to cut, grind, blast chill and vacuum package their meat in a low-temperature room, and also has equipment available to make sausage in the same area. 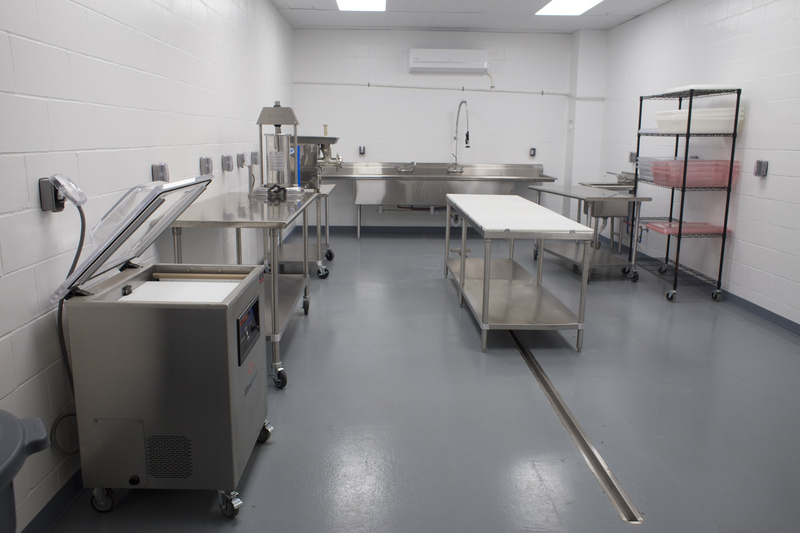 Just outside the meat processing room, walk-in freezers are available for storage. The new section of the facility also has a veggie side. Carrie Carson, the food partners access coordinator for ACEnet, is working to start a farm-to-school program with the help of Rural Action and CFI that will likely operate in the new space. Rural Action donated several large freezers and refrigerators to help with the program. Several clients have already begun working in the meat processing facility, including Pork & Pickles, Dr. May’s Thai Kitchen, Woodland Ridge Farm and Farm on the Ridge. Becky Clark, owner of Pork & Pickles, said she was one of the clients contacted to help decide what equipment, items and set up would be most usable in the new space. 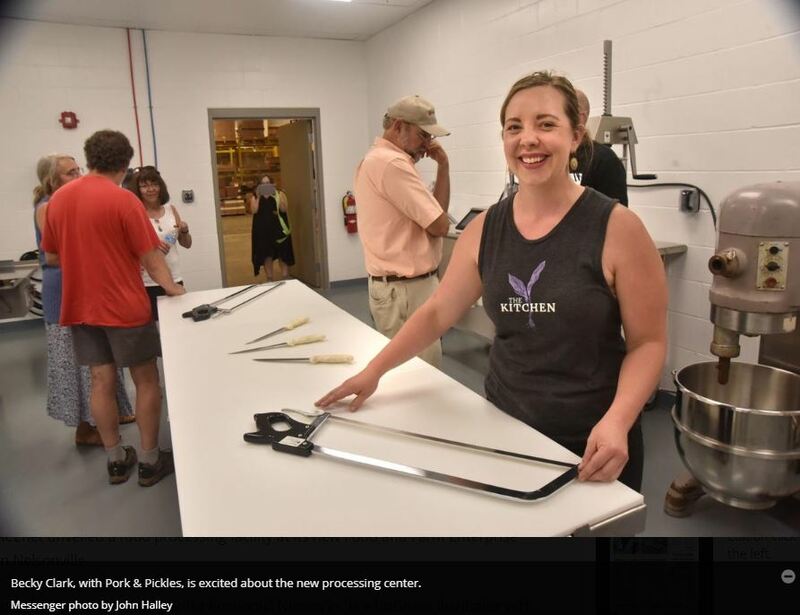 Clark explained the process: her pork and beef is raised on Dexter Run Farm in Meigs County, then is slaughtered in Bidwell in a state-inspected facility, where the carcass is given back to the farmer, who will then transport the meat to Clark. Since the new facility is licensed by the Ohio Department of Agriculture, clients using the space can now sell wholesale. Clark said that before, she was only licensed to sell directly to consumers or a little bit to restaurants, but that was limited with a monetary cap. Larry Fisher, executive director of ACEnet, said he was excited to see how the project will help entrepreneurs in the Athens County region.